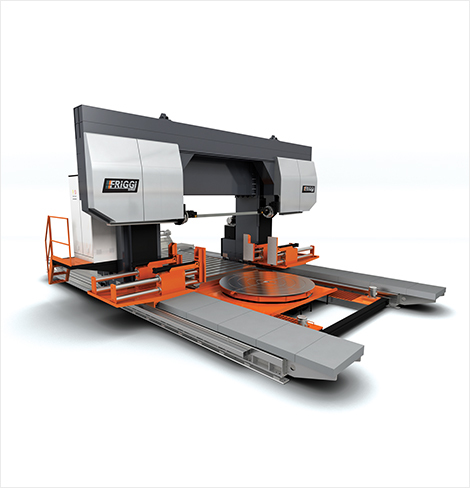 Description: The Gantry features a fixed table and moving head designed for cutting very large, heavy material. This machine allows for vertical, horizontal, and angle cuts without having to move the material; ideal for ingots and forgings as well as large blocks of steel. Typical application would be to cut plate horizontally from large blocks, to rough out holds to vastly reduce machining time, and more recently rough out frack blocks prior to machining.